Georgetown has been recognised as a Unesco historical sites tonight. The inscription of Georgetown as a World Heritage Site was announced by Unesco, or the United Nations Educational, Scientific and Cultural Organisation, when the Paris-based World Heritage Council met in Quebec, Canada, yesterday. 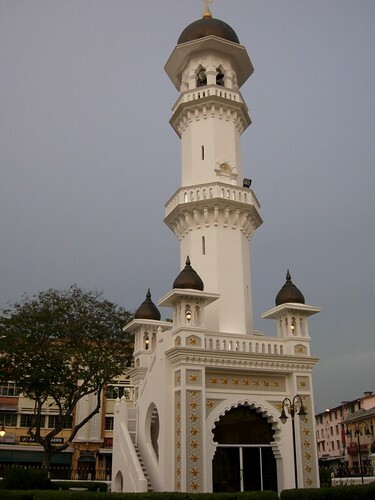 This is the Masjid Kapitan Keling. I have blogged about this in my previous post but am doing one more because I want to show off my 100% organic cotton bag from Foodbuzz. 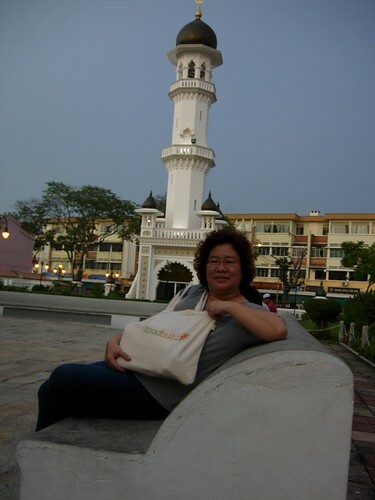 I think the background of the mosque is very Malaysian. I have been carrying the bag around with some books and Bible, very much like a missionary worker. LOL. I love the bag. Thanks, Foodbuzz. If you are a food blogger with fantastic posts and beautiful photos, do check out my review on Foodbuzz. I will make a post on the delicious nasi kandar I had next to the mosque in my next post. 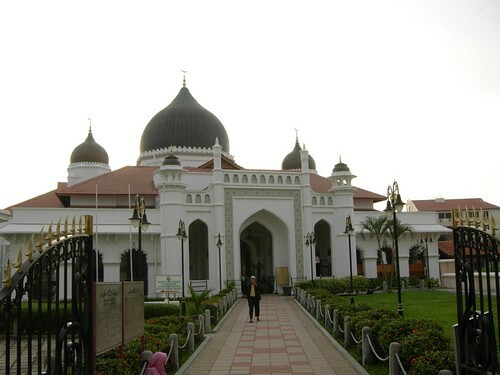 Masjid Kapitan Keling is beautiful. Thanks for the photos, Lilian. I still read your posts whenever I can, although I’ve been a silent reader.